The ‘supreme authority’ in Pakistan appears less enthralled to implement the repeated orders of the Supreme Court regarding the atrocious situation in Balochistan. After 71 hearings and countless interim orders by the Court, the situation in ill-fated Balochistan is at a standstill. Human rights violations are at an all-time high, extrajudicial killings by proxy death squads are on the rise, criminal elements are on the go to abduct civilians for ransom and corruption has surpassed all known records. Since the high profile hearing on September 27, 2012, where Mr Akhtar Mengal presented his six-point roadmap for peace and stability, 109 innocent civilians and political activists have been killed along with four journalists. Although the conflict in Balochistan has shattered the lives of ordinary citizens, it is an undeniable fact that ‘organised chaos’ has overwhelmingly empowered paramilitary forces and intelligence agencies. In fact, there is an undeclared emergency in the province, where the Baloch political process has been systematically stagnated and criminals and extremists are allowed to flourish and take control of society. Despite the Supreme Court’s efforts and intentions, it seems unlikely that Balochistan’s bloodletting will stop in the near future. Since the Constitution is regarded as a mere piece of paper and overlooked by the ‘supreme authority’, i.e., the military establishment, the Court’s order will not discourage perpetrators of human rights violations to get away with their destructions. 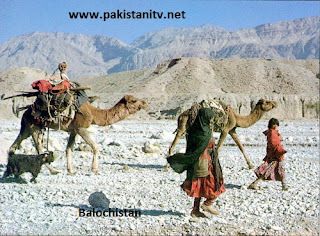 Nevertheless, in Balochistan, the majority of the populace is discontented with the state system and its institutions. In such an environment, where distrust between the Baloch and Islamabad is high — the Balochistan National Party’s (BNP) leader, Akhtar Mengal, took a very courageous political decision to briefly end his prolonged self-exile so as to facilitate delivery of speedy justice to the victims of a decade-long conflict. The BNP chief was overloaded with facts and truths about the endless miseries of the Baloch people by the militarised state and about the gross human rights violations of his people by the non-Baloch security apparatus. Despite Balochistan’s small population, countless Baloch political leaders have been produced before civil and military courts as ‘traitors’ and offenders, thereby incarcerated because of their political opinion. Nevertheless, this was the first time in the history of Balochistan-Pakistan relations that a political leader from Balochistan, accompanied by 40 senior Baloch-Pashtun leaders, appeared in the Court as a complainant against the state rather than as a culprit. Along with Akhtar Mengal’s verbal statements, the BNP submitted a comprehensive nine-page declaration and a 70-page dossier in the Supreme Court on September 27. Both statement and dossier encompass historic facts about the troubled relation between Balochistan and Pakistan, including details of systematic political, economic and human rights violations in their homeland. Akhtar Mengal talked passionately and factually before the Supreme Court about Balochistan’s state of affairs, including the epidemic of enforced disappearances of political activists. The honourable chief justice and judges graciously received Mr Mengal and repeatedly indicated that Baloch leaders have shown respect for the rule of law and reminded the federation (government) to respond likewise. However, despite the Court’s meaningful advice to the federation (civil-military establishment), it has struck back with repeated rhetoric. The federal government injudiciously denied all charges of proxy death squads, military operations, missing persons and displaced Baloch. Although the BNP’s six-point confidence building measures are not a recipe for permanent peace, if implemented, they could lead to a conflict-resolution process. Peace prospects between the Baloch and Islamabad are swiftly fading. The Supreme Court’s slow motion process is unlikely to dent the establishment’s anti-Baloch policy. The purposeful killing of moderate Baloch political activists will continue unabated until the establishment achieves its objective of a Baloch-less Balochistan.